The promoter and Chairman of Ghassan Aboud Group, Mr Ghassan Aboud yesterday met with Mr Mukesh Kumar Surana, the Chairman & Managing Director of Hindustan Petroleum Corporation Limited on the sidelines of the Abu Dhabi International Petroleum Exhibition & Conference (ADIPEC) being held at ADNEC, Abu Dhabi. At the meeting the companies exchanged their plans and aspirations for the export markets and reinforced the spirit of cooperation in achieving the collective objectives. 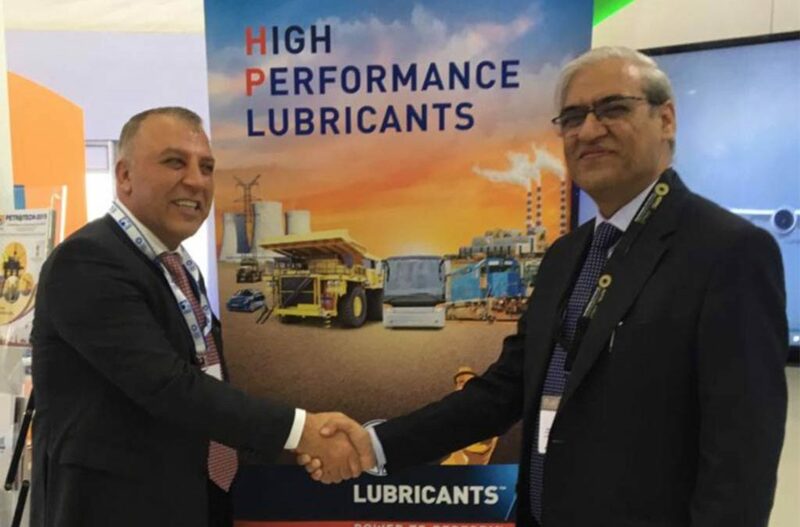 The UAE based Ghassan Aboud Group had recently entered into a collaboration with the Indian Government owned organisation HPCL for marketing its products in certain export markets. HPCL was well represented and featured its products and services at the ADIPEC reinforcing its position at India’s largest lubemaker. A vital part of HPCL, HP Lubricants is India’s largest lubricant marketer, which markets more than 450 grades of lubricants, specialties and greases manufactured in state-of-the-art blending plants spread across India. The grades manufactured by HP Lubricants find applications in automotive, industrial, mining and construction, agriculture, fishing, defence and railways among others. The Ghassan Aboud Group has a market reach of more than 100 countries worldwide, with its global hub in the UAE and additional offices in Belgium, Jordan, Australia and Turkey. The group will market a wide range of HPCL products including automotive lubes, industrial oils, asphalt/bitumen, hexane and solvents.